There are a number of ways to get involved with Civil Service Live 2019. A great way to get involved in CSL19 is to pitch an exciting, engaging and inspiring session that could run during any of the events next year. If you have an idea for a session, that meets the objectives and you think your colleagues will want to attend, please apply by clicking here. Having an exhibition stand at CS Live is one of the many ways to share and exchange ideas, meet with a wide range of civil servants and raise awareness of the work you do. If you would like to find out more about the benefits and cost of a stand please visit the Sponsorship Opportunities page. 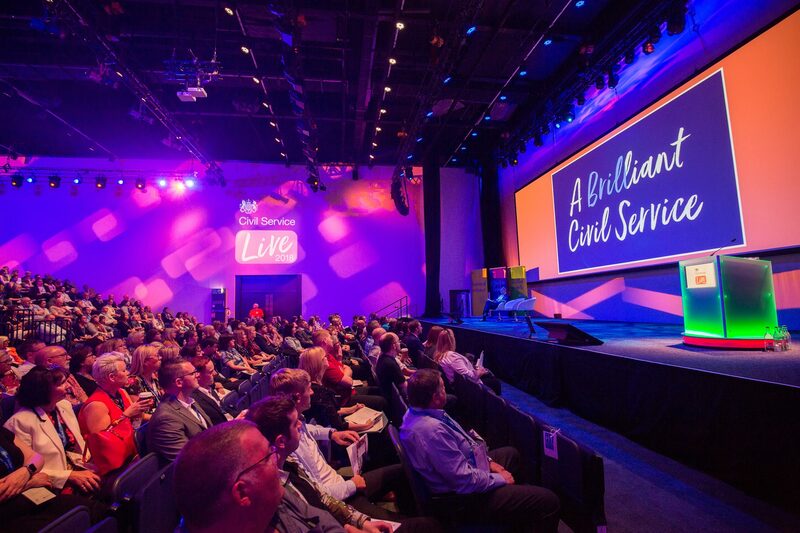 CS Live is powered by the enthusiastic and energetic volunteers at each all the Civil Service Live events. Our volunteers get the unique opportunity to engage with colleagues, to learn from seminars and to be more involved with Civil Service Live itself. If you would like to volunteer for any of the events, please register here. You will be prompted for a password to access the site. The password is “Support”. You can find out more about volunteering at the events by viewing the 2019 Volunteer Information Pack. If you are a Senior Civil Servant and would like to spend just 90 minutes offering Spot Mentoring sessions at any one of the events, please register your interest here. You will be prompted for a password to access the site. The password is "Mentor". For more information on Spot Mentoring, please read the handy guide. With 19,000 civil servants attending CS Live, we want to help you meet new people and broaden your networks. There is the opportunity to Speed Connect at each event - head over to the Connect Zone and sign up to take part.